This lightweight full race engine has extraordinary racing cams, developed especially for road racing and it also contains all of ABSAF's racing products. On the inside there are altered cam followers and pushrods, a unique lightweight crank, extreme heavy duty crankshaft bearings, optimum flow and combustion cylinder head and the valve angles are also altered to improve performance. The valves themselves are designed to win championships. 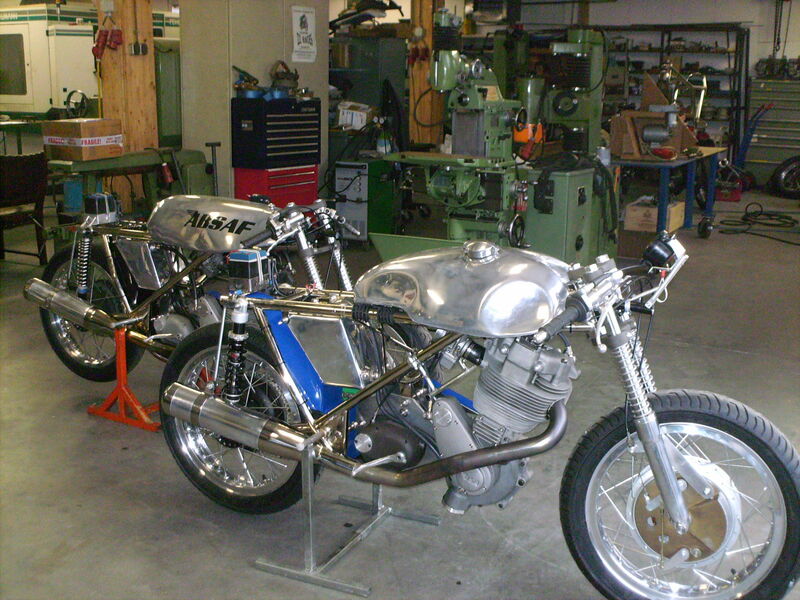 Bore x stroke is 85 x 88mm, max rpm is 7400, with a compression ratio of 12.6:1. 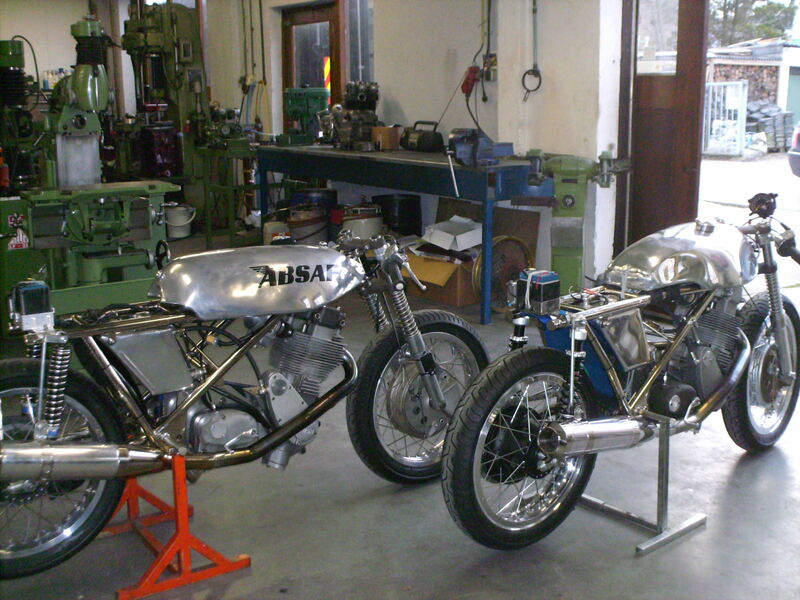 This is a very fast, high torque, low inertia engine, the engine used by all the National Classics Champions who ride ABSAF. It is impossible to give an exact bhp as readings will vary depending on the carburettor, ignition and exhaust systems. 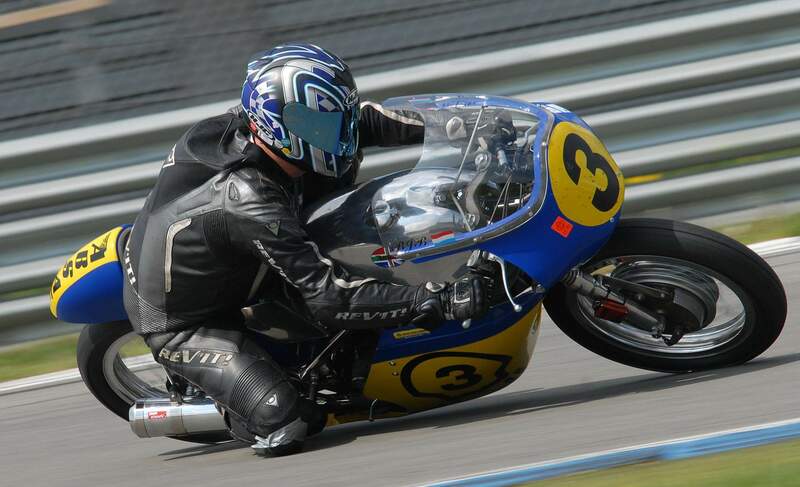 ABSAF powered motorcycles have a long, successful record in historic racing classes. 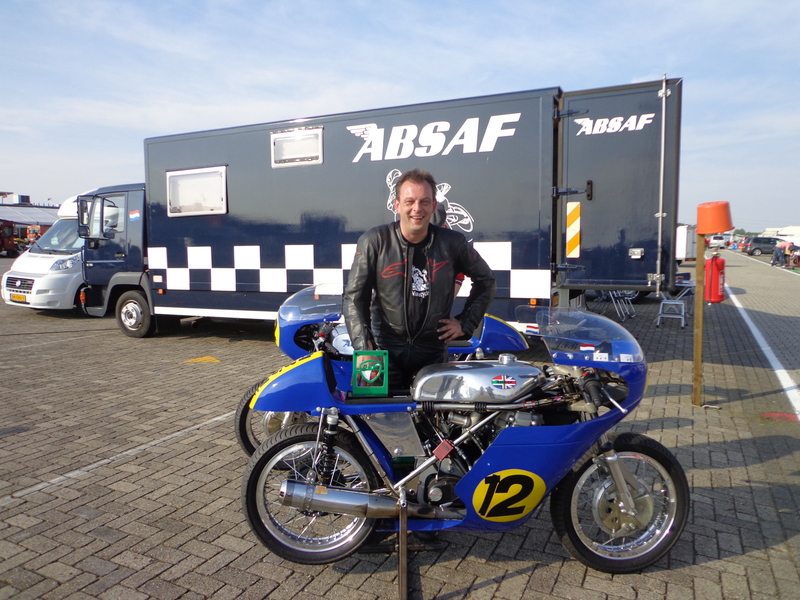 Below are some pictures of Jan Frank Bakker from The Netherlands in action on a ABSAF racing motorcycle.